How do I add an existing balance onto an invoice? 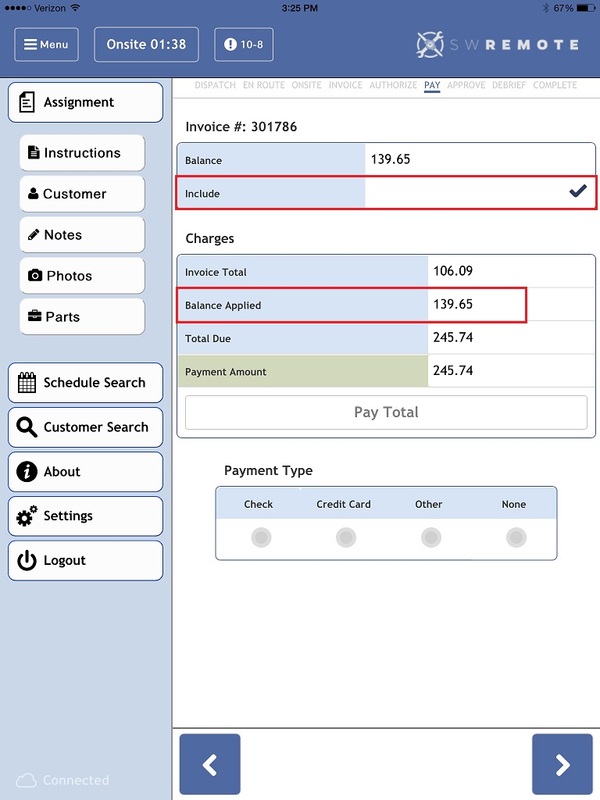 Once you are on the Payment Screen, if there is a balance on the account, check the Include checkbox, and this will add that amount to the Balance Applied field, which in turn will add this amount to the total Invoice amount. This will allow the technician to take an amount higher than the invoice total.